Learning all the basics you can about real estate investing is essential. On the other hand, just like doctors and medical workers choose to specialize in chemical pathology, radiation oncology, or neurological surgery, real estate investors also need to select their focus areas. They should focus on their investment vehicle and the strategy for using it. Take a look at our tips to get introduced to some of the best investment vehicles in the real estate industry. There are so many choices to choose from as there are numerous ways to make a profit like a real estate investor. But before you get into it, you’ll need to select a niche to specialize in. Once you know the slot you want to master, you will be able to narrow your focus down, network with others within that niche, become an expert, and start execution to your plan of action. Here’s the list of property types that you’re likely to deal with. Raw Land. Raw land can be rented or leased or subdivided and sold for creating cash flow. Single-Family Homes. 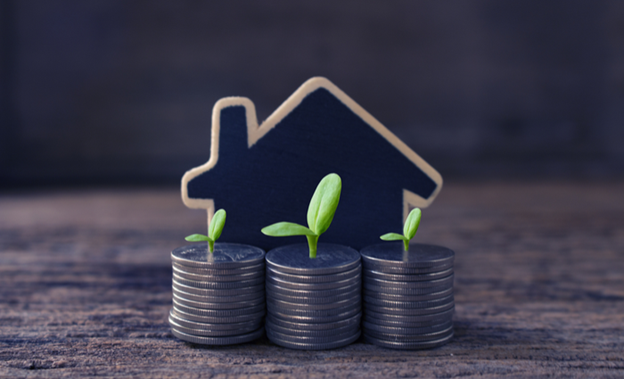 Single-family homes are relatively easy to rent, sell, and finance, which is why they are the most common investment choice for first-time investors. Duplex/Triplex/Quads. The multifamily properties combine the easy purchasing and financing benefits of a single-family home. Another advantage of multi-family homes is that you can qualify for a loan easily because banks look at these properties with the same guidelines as single-family houses. Small and Large Apartment Buildings. A small apartment building has between 5 and 50 units. These properties rely on commercial lending standards, so can be more challenging to finance. Their value is based on the income they bring in. Large apartment buildings are more massive complexes that include workout rooms, pools, and full-time staff. These can cost millions of dollars to buy but can produce stable returns. REITs. Real Estate Investment Trusts is when a group of individual real estate investors pool their money together and allow the REIT to buy large real estates – skyscrapers, shopping malls, single-family homes in bulk purchases. The profits are distributed to investors. Commercial. These investments can vary in purpose, style, and size, and involve properties that are leased to businesses. Investing in commercial properties is not recommended for beginner investors. Now that you know what property niches you can choose from, you need to know what kinds of investment vehicles are at your disposal. These are the three most common ones you can use to produce wealth. Flipping Real Estate. Flipping houses is, because of the many TV shows that promote it, one of the most popular strategies for profiting in real estate. How do you flip real estate? Buy it at a lower price, improve it to add to its value, and then sell it at a higher price. Single-family homes are the most popular type of real estate to flip. Buy & Hold. This strategy involves buying a real estate and then rent it for some time. Buy and hold investors create the wealth by keeping the property until they can sell it for more while collecting a monthly cash flow. It considered the purest form of real estate investing. Wholesaling Real Estate. Unlike other investing strategies, a wholesaler never owns the piece of property they’re selling. The wholesaling process involves finding a great deal, writing a contract to purchase the property, and then selling the contract to another investor or retail buyer. These are the niches and strategies you can use produce more wealth in the real estate industry. Remember that it takes time to learn how to properly invest, so do everything you can to get a better understanding of the investment type you want to pursue. We at Blackhawk Partners are always available for guidance on growing your real estate wealth. To be successful, you must be ready to risk, sacrifice, and rationalize your financial commitments. We can help you learn how, where, and when to buy and sell a property. We hope to always be your trusted source for capital creation and investment guidance. Now that you know, go and create wealth.